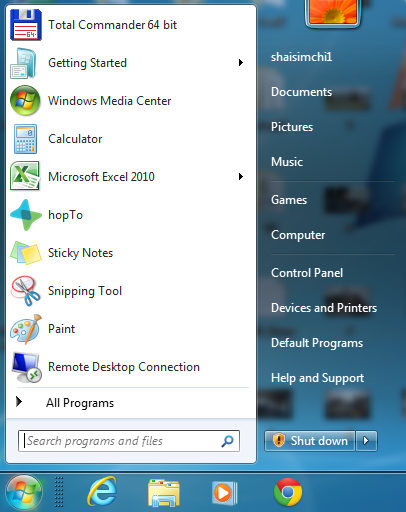 Follow the steps below and you’ll be ready to access documents on your PC from anywhere using hopTo. 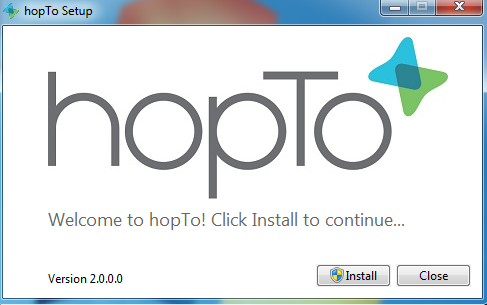 Download the hopTo desktop installer here (Download). Some Windows versions with user account control will ask you to confirm the installation. The installation wizard will complete automatically and will display “Success” upon successful installation. Upon successful sign in, a notification will appear near your task bar that you can now access your PC documents from the hopTo app on your iPad. The hopTo icon now appears in your task bar. In order for you to access documents on your PC it must be turned on and connected to the Internet. 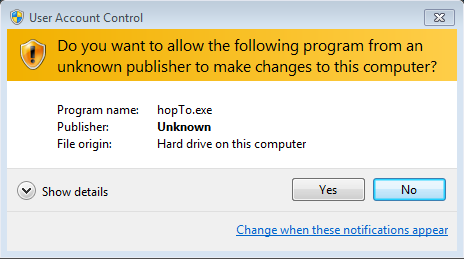 Without an Internet connection hopTo cannot access your files. If you wish not to rely on your PC being on and online you can use one of our supported cloud file sources which are of course available 24/7. Currently we support Dropbox, Box, Google Drive and OneDrive (SkyDrive). I have installed this on my PC and it connects to my PC but there are not instructions regarding whether my PC needs to be awake or not. When I leave and go to another location the PC shows up greyed out. I don't leave my PC on when I am gone so it doesn't seem as if this will work unless my PC is on continuously. if this is the case, it is not very useful to me. 3) On your PC - make sure that you are logged in. Best would be to uninstall it from the control panel. 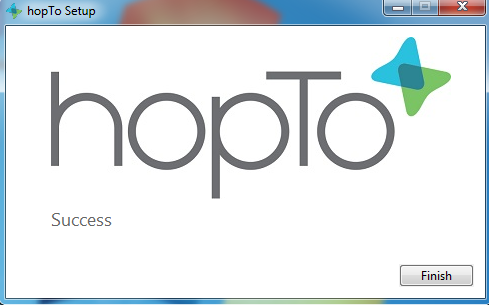 then install again (download from http://download.hopto.com). Once the download has finished you should sign in. 4) Launch the iPad app again and sign in. I can't CONNECT my PC with my iPad, this message keeps coming up --> "Please update your File Connector and restart de iOS app".... I believe that I've done things the correct way, but maybe I'm mistaken. Please help me! I have Uninstalled and Re-Installed the app on my iPad, as well on my PC, several times.... I'm really upset. Everything was allright now, I just unninstall the app on the iPad and install it again. Thank YOU! It sounds to me that you need to sign in on your PC. 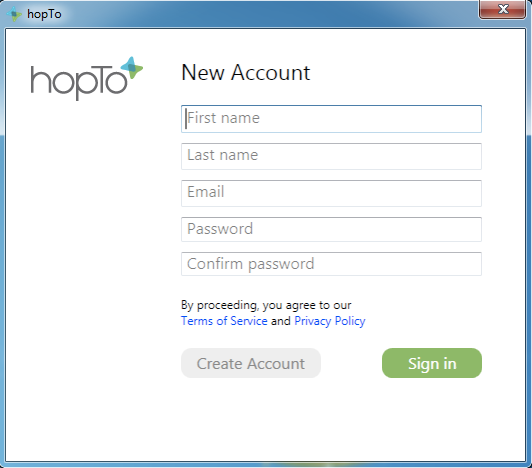 After the software has installed on your PC you need to sign into it with your hopTo credentials (same credentials as the iPad app). Once you have signed in you should be able to connect from your iPad. Sorry to hear about the issues you were having. 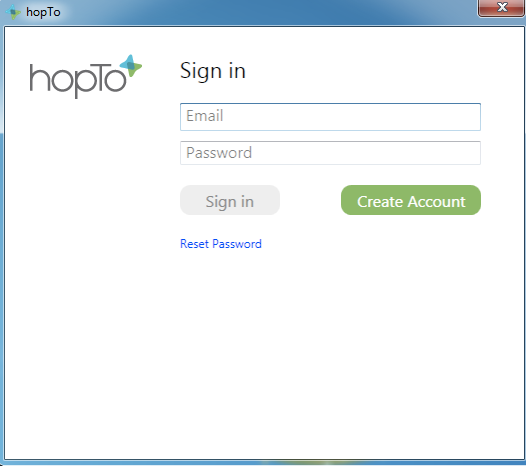 After hopTo is installed you should get the login screen per the instructions in this page.